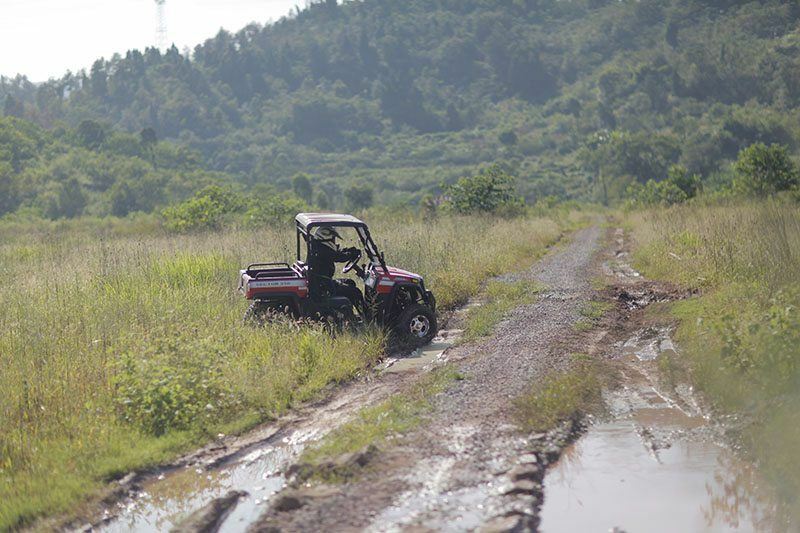 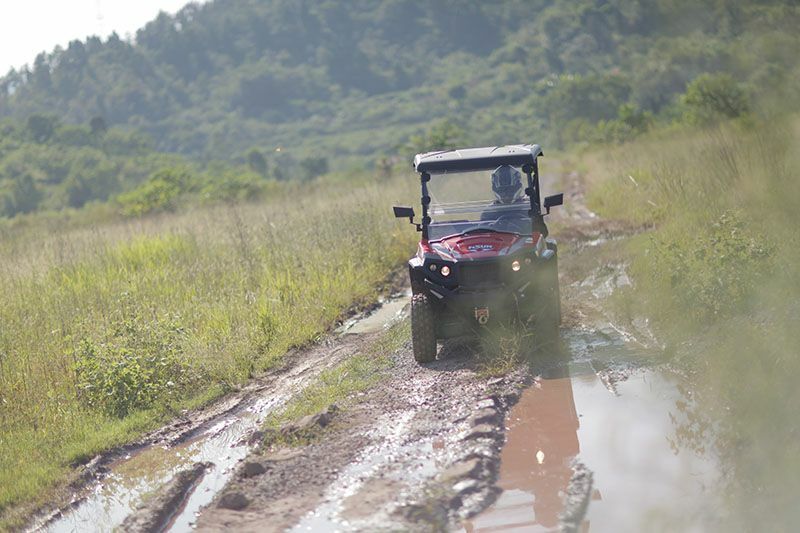 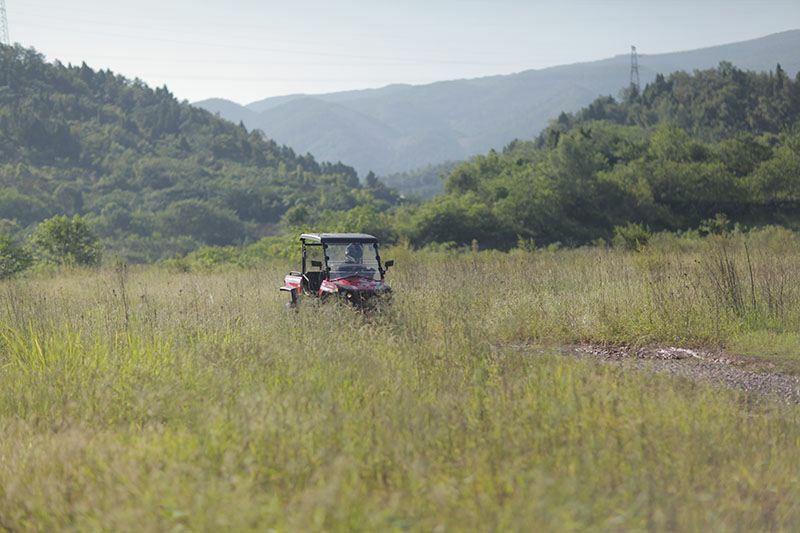 The Sector 250 is powered by a 229 cc 4-Stroke – OHV Single Cylinder Engine with Low – High gears and Independent Dual A-Arm front suspension. 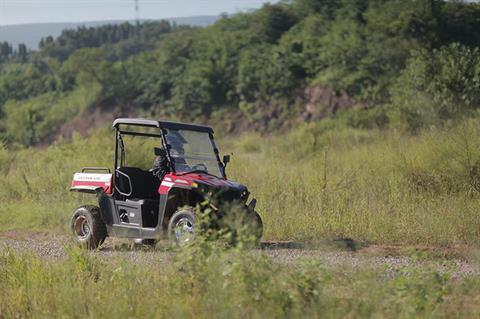 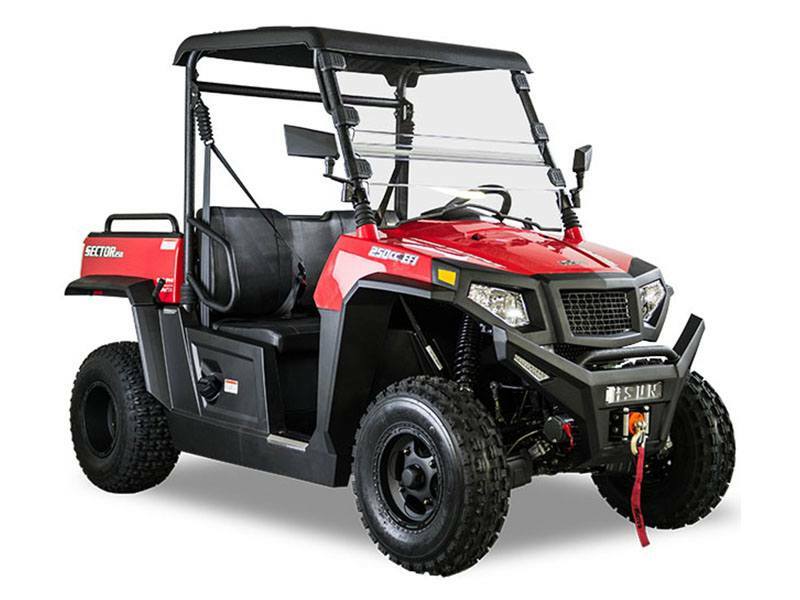 Backed by a 2-Year Warranty, the Sector 250 comes equipped with a roof, windshield, turn signals, aluminum rims and a 2,500 lb. winch.